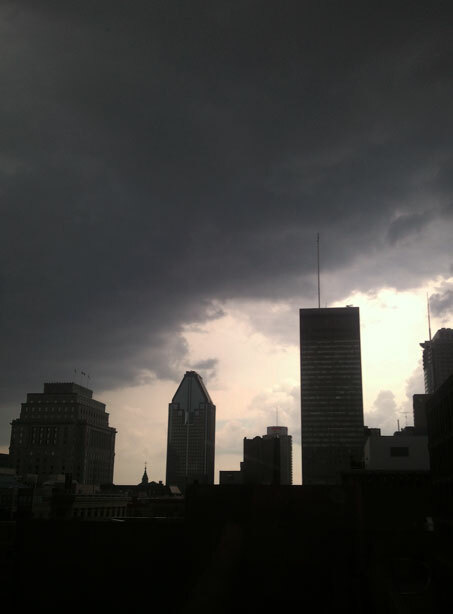 Montréal enjoying a few minutes of rain before we get back to the blazing Sahara-like sun! This has been the hottest summer on record for the last.......well, a very long time! A brief storm is actually a welcome sight and gives us something different to complain about! Now.....who wants to share their umbrella? Thanks! I have to admit I really like storm clouds!